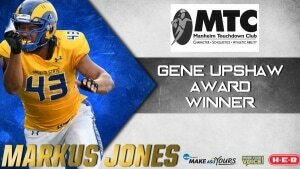 MANHEIM, Pa. – Angelo State senior defensive end Markus Jones has been named the recipient of the 2018 Gene Upshaw Division II Lineman of the Year Award presented by the Manheim Touchdown Club, project coordinator Don Harris announced on Wednesday. The Upshaw Award is presented annually to the top NCAA Division II senior offensive or defensive lineman in the nation. Sports information directors from the football-playing Division II institutions comprise the voters. As a recipient of the Gene Upshaw Award, Jones receives a trophy in the likeness of Upshaw and recognition at the Manheim Touchdown Club’s annual banquet in May. Jones also receives an automatic invitation to participate in the East/West Shrine Game. Jones, the Lonestar Conference Defensive Player of the Year for the second-straight season, led all NCAA players–regardless of division—with 34 tackles for loss. His total was 12 ½ more than any other player in Division II. In 11 games, Jones finished three short of the single-season Division II record, and his 3.1 TFL per game rank second in Division II history. Jones also ranked second among Division II players in sacks with 15. He tallied two or more sacks in five games and finished his season with 77 total tackles and three forced fumbles. Jones totaled 34 ½ sacks in his four-year career. Jones received a first-place vote on 51 percent of the ballots submitted. He received a top-two vote on 70 percent of the ballots. 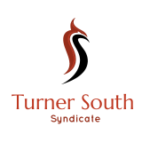 The initial field of 46 nominees was narrowed to eight after a round of voting at the Super Region level. At the national level, Jones totaled 236 points, topping runner-up Jeremy King of Valdosta State by just 42 points. Sioux Falls offensive lineman Trey Pipkins finished third with 175 points. Notre Dame College offensive lineman Austin Treneff finished fourth and was followed by Ashland defensive end James Prater Jr., Florida Tech defensive End Adonis Davis, West Chester offensive lineman Tyler Drob and Southern Arkansas defensive end DaVondrick Lison. Jones is the 15th recipient of the award named in honor of former Texas A&I (now Texas A&M Kingsville) University and NFL All-Pro offensive lineman Gene Upshaw. Upshaw, a 1987 inductee into the Pro Football Hall of Fame, served 25 years as the executive director of the NFL Players Association until his death in 2008. Gene Upshaw Award finalists continue to achieve success at the highest level. 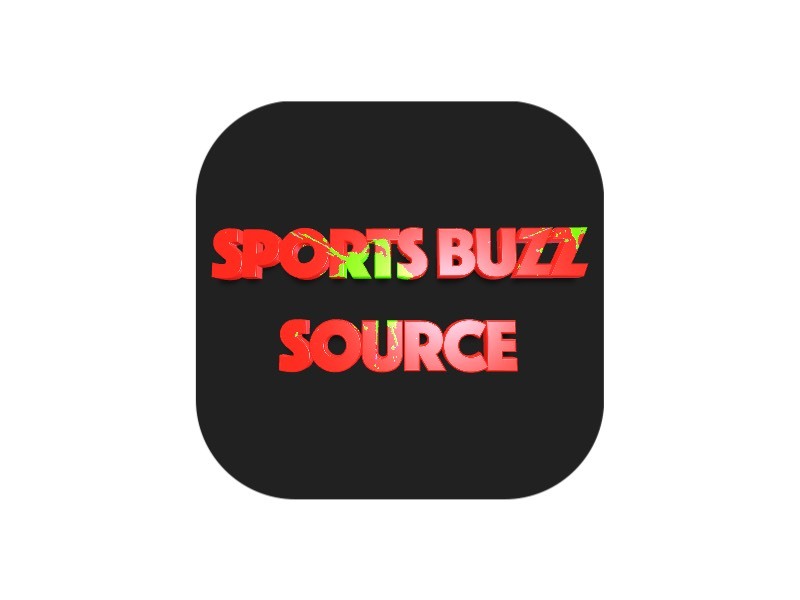 Four of the 2017 finalists signed with NFL teams in the offseason, and finalist Alex Cappa was selected in the third round of the NFL Draft by the Tampa Bay Buccaneers. Previous winners Brandon Fusco (Slippery Rock, 2010), Matt Judon (Grand Valley State, 2015), and Jordan Morgan (Kutztown, 2016) as well as 2012 finalists Ryan Schraeder (Valdosta State) and Ryan Jensen (Colorado State-Pueblo) and 2015 finalist Morgan Fox (Colorado State-Pueblo) are all currently on NFL rosters. Next Article Michigan was the most impressive team in the ACC-Big Ten Challenge. Here's 21 more awards from a fun three days.